The Emmy’s is an award show that celebrates and recognizes individuals in the television industry. An Emmy award is arguably the most prestigious award for television, and has been on numerous occasions been called the Oscars of the TV world. On Sept. 18, Americans tuned in to watch the 68th Annual Primetime Emmy Awards. However, more than the gowns and the suits, Americans were captivated by another beautiful sight on the red carpet — diversity. Take note #OscarsSoWhite. The celebration of various degrees of melanin on the red carpet was a rich indicator that people of color are making waves in the acting business. Some highlights of how diverse the Emmys were include Aziz Ansari being the first Southeast Asian to be nominated for an Emmy, Rami Malek was the first Egyptian to receive an Emmy, and numerous African-Americans received nominations, such as Courtney B. Vance and Regina King. Jimmy Kimmel, who hosted the event, remarked in his opening dialogue that “the Emmys are so diverse this year, the Oscars are now telling people we’re one of their closest friends.” Kimmel referenced the controversy of the 2016 Oscar Award show that is well described in its “#OscarsSoWhite” hashtag. The Oscars received backlash this year for having very minimal diversity across its nominees. In fact, many people, especially celebrities, were furious that there were even rumors that they would boycott against the Oscars. However, the question remains as to why there is more diversity on television as opposed to big Hollywood films? Unless it is a period piece or a historical piece, it seems as if Hollywood films only have Caucasian actors as their main stars. If anyone disagrees with the statement and talks about big Hollywood films that do include people of color, the film most likely fits the white savior trope. This is an all too familiar trope where a person of color is in distress and can only be saved by a white individual. Many people claim that there are not many roles curated for people of color. But what exactly does that mean? Does a film about a woman suffering from Alzheimers only relate to white individuals, and therefore, that’s why casting crews are only looking for white actors? Another instance would be the upcoming film Gods of Egypt, in which all the actors are white. How is this problematic? Well, Egypt is a country in Northern Africa and a majority of Egyptians have an olive to chestnut complexion, which is a far change from the alabaster actors chosen to play the gods of Egypt. So why is there more diversity on television, but they are not ok with diversity on the big screen? Maybe it is because television shows are “easier” and cheaper to produce typically. Film companies know that if they have A-list actors (who are almost always white) in their movies, more people will go watch them — which means more revenue for the company. Whereas, with television, companies are willing to have shows with newer actors because they do not suffer from the same financial burdens that come along with major motion picture productions. In a more manipulative examination of the nuclear family shows, every cultural group carries their own “flavor” of humor; that flavor either makes people of the same culture relate more or it introduces a new kind of humor to other cultural groups. Bottom line is that it is entertaining for audiences to watch variety of family life on television, as opposed to the hackneyed white nuclear family. This benefits production companies because the happier the audience, the more revenue they receive. 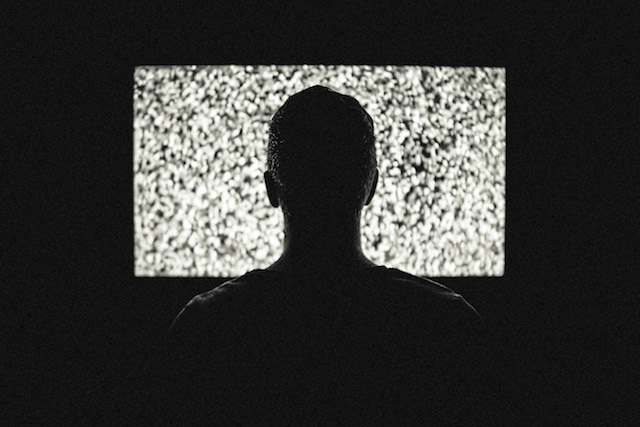 However, while television has always been viewed as a real reflection of society, it still does not remove that cheap connotation that it carries. Senior writing major Toni Jones spoke on the topic and said “television is a less prestigious medium, so of course the entertainment industry would be generous because the industry would not be risking much”. This is a discussion that seems as if it might have an easy solution. The solution is that film companies and the general public be more open to the idea of having people of color. Sadly, there is so much red tape in the entertainment industry that this is not a plausible solution. However, with the emergence of more diversity in TV and how well that diversity is celebrated, maybe film companies will give my solution more thought.